Acupuncture involves very fine needles inserted at specific points for disease prevention and/or treatment. Problems that are often successfully treated using acupuncture include musculoskeletal disorders (such as arthritis), intervertebral disc disease (IVDD), skin problems, and heart, kidney, and GI disorders. Training in veterinary acupuncture entails 130-140 continuing education hours and takes 3-5 months. Veterinary acupuncturists learn anatomical, physiological, and historical aspects of acupuncture, needling techniques, diagnosis and treatment methods, and lab practicals. The Chi Institute offer Traditional Chinese Medical Acupuncture, whereas Colorado State offers Evidence-Based Medical Acupuncture. Prerequisites are a 4th year veterinary student or veterinary license. Certification will include a combination of written exams, case reports, performance practicals, point location practicals, and/or internship. 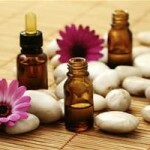 Aromatherapy is the inhalation, ingestion or topical application of plant oils, called essential oils. They are used to improve physical, mental, and emotional well-being or to treat specific diseases. 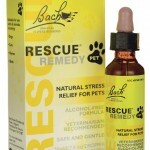 Dr. Edward Bach, a B ritish homeopath developed a collection of 38 remedies that correspond to common emotional states. Perhaps the most famous is a blend of five remedies known Rescue Remedy, which can be used for crisis stressful situations. A non-invasive health care practice based on the relationship of the nervous system to the spinal cord. Correction of subluxations (dis-relationships between two bones) allows the nervous system to function at an optimal level. A chiropractic adjustment is defined as short lever, high velocity controlled thrust by hand or instrument that is directed at specific articulations to correct vertebral subluxations. It comprises the adjustment of vertebral joints, extremity joints, and cranial sutures. It includes evaluating the patient’s history, intended use/athleticism, health state and prior radiographs and tests. A chiropractic exam includes a neurological exam, stance and gait analysis, and motion and static palpation. The American Veterinary Chiropractic Association is the largest body of practitioners (DC/DVM) in the world. Certification: 220 hour postgraduate training course and rigorous certification with continuing education. The ancient Chinese developed herbal medicine thousands of years ago, as one of the many branches of Traditional Chinese Medicine. Acupuncture and herbal medicine are often used to complement each other. In general, herbs focus on internal pathology whereas acupuncture focuses on structural or functional musckuoskeletal disease. 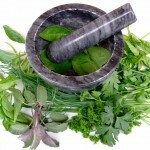 Herbs originate from a variety of cultures including Chinese, Western, and Ayurvedic (Indian). Chinese herbal medicine involves the prescription and administration of herbal formulas. These contain anywhere from three to fifteen or more herbs. Just like all other branches in Chinese medicine, he rbal therapy is utilized based on the season, timing, and all the factors that affect the body, in order to return to the balance between yin and yang, and thus relief the symptoms. These formulas are typically given to animals as pills, powders, or suppositories. Homeopathy was founded in the late 1700’s in Germany by Dr. Samuel Hahnemann. It is based on the idea that “like cures like” or by the “law of similars,” Cure can only come from medicine against a disease that produced a similar (artificial) disease in a healthy person. The use of medicine that produced opposite effects could only suppress symptoms without curing the underlying disease. For example, a painkiller may remove your headache, but it does not cure the underlying cause of the pain. Homeopathic medicine views symptoms of illness as normal responses of the body as it attempts to regain health. 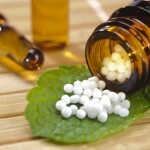 Homeopathic medicines are diluted to the point of not containing the original substance. This has lead to much criticism from modern scientists. However, homeopathy works through energy and frequencies not through chemistry. It can be explained by the principles of quantum physics. It is theorized that homeopathy works through water memory and not through the presence of the actual chemical compound. Homeopathic frequencies are stored in the 3-dimentional structure of water molecules. The body recognizes these frequencies and reacts to them and cures the illness. When prescribing a homeopathic medicine, not only are patients’ physical constitutions and symptoms considered, but their tastes, habits, emotions, and even life stories are also considered in the diagnosis and treatment. The homeopathic remedies are made by first dissolving the preferred substance in water or alcohol and then vigorously shaking and diluting it. This process of shaking and dilution is called “potentisation” The more a remedy is potentiated the stronger the effect it has on the body. Higher potencies and more frequent dosing are used in acute situations. Veterinary Homotoxicology uses the principles of homeopathy, herbology, and the patient’s blood chemistry. Dr. Hans-Heinrich Reckeweg discovered homotoxicology in the mid 1900s. Illness is the human body’s defense against toxic substances (homotoxins) that threaten to overwhelm the intercellular matrix. The illness is determined by toxins present and the body’s ability to remove them. Clogging of the matrix obstructs the movement of nutrients from blood vessels into cells, disrupting the body’s steady state and hindering important biological processes. The resulting disturbances, which eventually manifest as illness, are the body’s attempt to restore a state of biochemical balance. For Dr. Reckeweg, restoring this balance was the ultimate goal of all medical treatment. Treatment is based on conventional diagnostics, but multiple remedies are used in conjunction with the patient’s own blood chemistry. A treatment using low level light emitting diodes that encourages healing and improved function at the cellular level by repairing the communication between the cells of organs and tissues. Just about every condition can be treated with a specific series of settings for each particular disease or ailment. Results are often seen within a short period and the treatment is painless. It requires an intense first week of treatments and then just twice weekly for two more weeks, and then single ones in the following two weeks. Neoplasene is a cancer formulation made from bloodroot extract, halogens and water. It is administered topically and orally. It can dissolve tumors from the inside and outside simultaneously. Focusing on high quality and well-balanced nutrition is the foundation for general well-being. Nutrition may be used as prevention or treatment. There are still many differing opinions on alternative diets, including the “BARF diet” (Biologically Appropriate Raw Foods), commercial grain-free diets, and homemade diets. If interested in home-cooking or raw diet, please consult a board certified veterinary nutritionist. American College of Veterinary Nutrition: residency and board certification, externships, university information, and continuing education. Veterinary Nutritional Consultations: third party consultations founded by Dr. Rebecca L. Remillard. VIN Clinical nutrition message board. Holistic medicine in food animals focuses on preventation for the individual animal or herd. Holistic medicine involves the entire animal – including behavior, diet, environment and past medical history. Preventative medicine in especially important in food animals to ensure optimal growth and production. Any disease in a food animal ultimately leads to a loss of profit for the producer. Further more, holistic medicine in food animals is an important part of sustainable agriculture – agriculture that focuses on environmental health and economic profitability in the present and the future. The use of pharmaceuticals in food animals can ultimately lead to environmental contamination via metabolites in excrement. 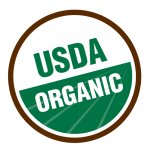 The use of holistic medicine in food animals contributes to efforts of minimizing the impact of agriculture on the environment. Osteopathy involves musculoskeletal manipulation to enable the body to self heal. Dr. Andrew Still began practicing osteopathy on humans in the 1800s. Osteopathy can be used to treat gait problems, stiffness, problems with head carriage, behavior changes, muscle tension, digestive problems, and more. Osteopathy certification is exclusively available through the Vluggen Institute for Equine Osteopathy and Education in Austin, Texas and the Netherlands. For veterinarians, this is a two year course, with 4-5 modules per year. Each module last 4 days and includes lecture and practical experience. There are an interim and final exams. Certification is titled EDO (Equine Diplomate of Osteopathy) or CDO (Canine Diplomate of Osteopathy). Oxygen molecules (O2)are made into Ozone (O3 using a specialized electrical generator. The ozone is then introduced into the animal in various ways depending on the ailment or disease. We have found this treatment to slow or stop the progression of cancer, as it has been proven that cancer cells cannot survive in hyperoxygenated environments. This has extended many cancer patients’ life spans. This also detoxifies the body, kills germs, improves functioning of all cells, and can reduce itchiness. Traditional “laying on of hands” energy healing. Veterinary stem cell therapy, also known as regenerative medicine, employs the use of stem cells derived from adipose tissue to treat traumatic and degenerative diseases. Although stem cell therapy is fairly new to veterinary medicine, it has been demonstrated to be an effective treatment in numerous animal models of disease such as osteoarthritis, osteochondral defects, tendon repair, fractures, cerebral infarction, myocardial infarction, muscular dystrophy, and autoimmune disorders. Vet-Stem Regenerative Veterinary Medicine is a licensed stem cell service in San Diego, CA for veterinary patients. Veterinarians must be credentialed by taking Vet-Stem’s on-line course before using the service. A small amount of adipose tissue is collected surgically by a credentialed veterinarian, and is shipped overnight in specialized packaging to the Vet-Stem laboratory. The next day, the stem cells are collected from the adipose tissue and shipped back to the veterinarian via overnight service. The stem cells are received by the veterinarian on day 3, ready to be injected into the injured tissue of the patient. The first peer reviewed double-blinded multicenter study for Vet-Stem Regenerative Cells’ use in canine osteoarthritis of the hip showed significant improvement in all post treatment evaluation times for lameness, pain, and range of motion. Similar results have been obtained for canine elbows and stifles.